The iPad went on sale for the first time one year ago today, on April 3rd of 2010. Wow. I guess magical tablets grow up almost as fast as children. And time definitely flies when you’re having fun writing about a great device. This time last year I was already at home with my shiny new iPad. I was Number 7 in the reserved line at my local Apple store on iPad Release Day, having arrived at around 6:30AM, I was out of the store and on my way home by 9:40. A much smoother and shorter experience than on iPad 2 launch day. When I first laid hands on the iPad I thought it was an amazing device. My appreciation of it has grown throughout this year and grew again when I got my new iPad 2 a few weeks ago. It has become by far and away my most used mobile device, and is catching up with my MacBook Pro for most used device overall. 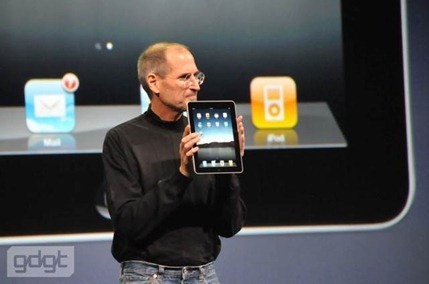 Happy Birthday iPad – and many happy returns. If You’re Going to Trash-talk About Numbers, Shouldn’t You Be Able to Count? An iPad with a keyboard, a mouse and a case [means] you’ll be at $1500 or $1600; that’s double of what you’re paying. That’s not feasible. 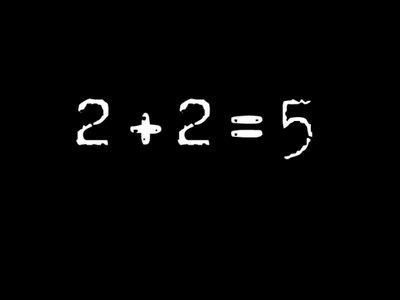 We know, addition is hard. I guess if Lark could actually do math or notice small details like the industry’s runaway leader in the tablet market not being mouse-driven, they might up his title to head of marketing in this galaxy for humungous enterprises. 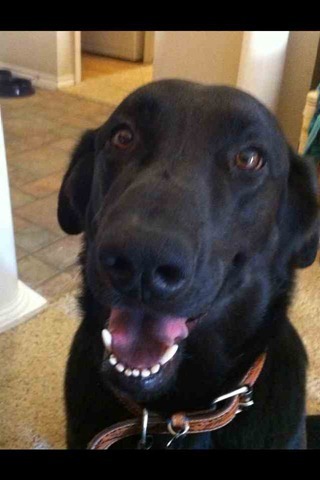 My big Labrador, Baz, is a pretty smart guy. Like most dogs, he appreciates routine – and gets a little excited when he knows it is time for meals, a good walk or a play session. He has an incredibly accurate body-clock and knows when to start bugging me if I fall a little behind on the dinner schedule. Over the last week or so, I’ve noticed a new trick in his timekeeping and awareness. Most every morning, I grab my iPad 2 as soon as I’m sort of conscious and go through my email and check out news from various sources – before I ever get up on my feet. Generally when I close the iPad 2 smart cover, it means I’m getting up. Which for Baz means, it’s breakfast time and time for a long walk. The result is that now whenever Baz hears the click of the iPad 2 going into sleep mode in the morning, he’s on his feet, bouncing around in excited and happy circles, nudging against me with his big schnoz, staring at me intently, and generally letting me know that I better not even think of doing anything else other than getting him some food. I guess the takeaway from all this either that I’m way too predictable and need to vary up my mornings a little or that Labradors are smarter than iPad smart covers, or a little of both. 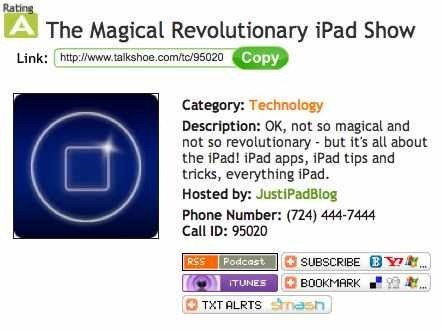 Once again, James and I will be hosting ‘The Magical Revolutionary iPad Show’ tonight – live on Talkshoe at 10PM Eastern. 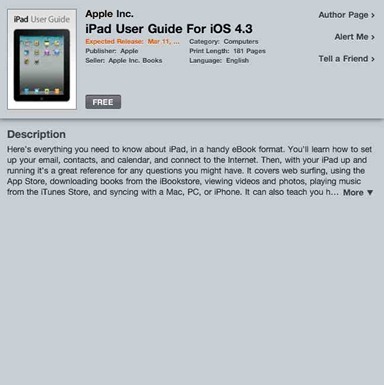 There’s still plenty of iPad 2 topics to discuss, as well as our general run-through of all things iPad-related. I hope some of you will get a chance to come join in. You can call in live with questions or thoughts to share, do the same via live chat in your browser, or just kick back and listen to us ramble on. If you don’t manage to catch the show live, you can download it, livestream it, subscribe via iTunes, and more good stuff via that link above. Hope to talk to some of you tonight. If you don’t need to sell your iPad V1 in order to help finance your iPad 2, or just find yourself with extra iPads laying about your house, here’s a great way to re-home them. Apple now has a program that can match your obsolete iPad with someone who really needs it — an educator in a low-income school district. 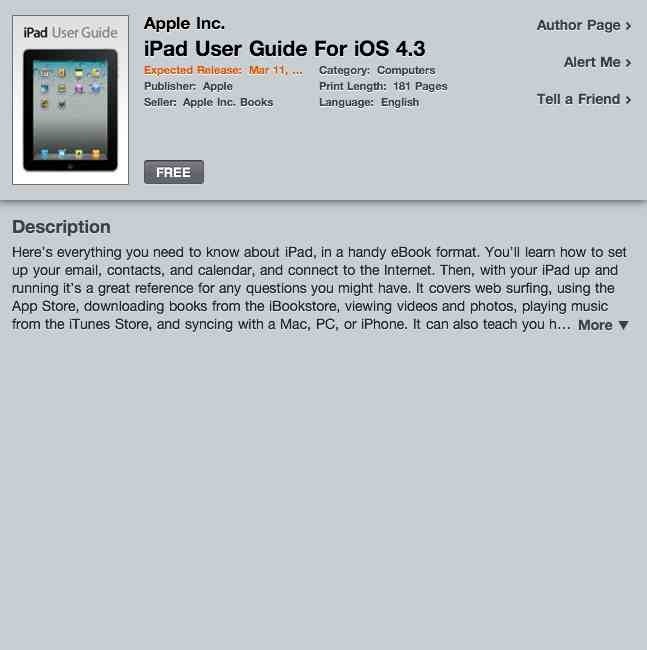 Through alink on the Apple Retail web page, Apple is directing those who want to share the magic of the iPad with an appreciative audience to the Teach For Americawebsite. Teach for America is an organization that aims to end ‘educational inequity’ and help ensure that even children in low income communities receive an excellent education. I think that’s a great objective and a very worthy cause – especially now with all the looming cuts to schools and teachers here in the US. 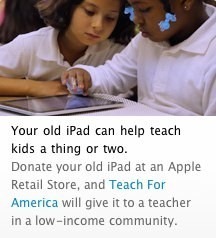 To donate your iPad to Teach for America you just need to take it into an Apple retail store. They’ll do the rest and get it prepped and delivered to a school district that can put it to good use. For those of you who have recently got an iPad 2, what did you do with your first-gen iPad, or what do you plan to do with it? 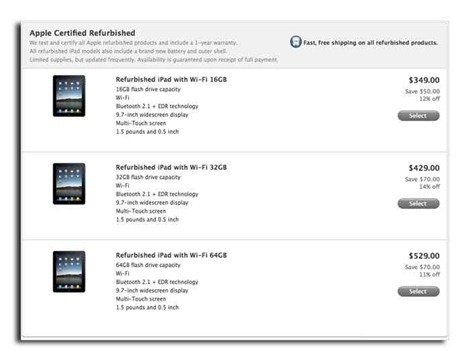 Yesterday AT&T dropped the prices on all the iPad V1 Wifi + 3G models, to all-time low levels. They’re offering the 16GB WiFi + 3G model for just $429, and the top-of-the-line 64GB WiFi + 3G model for just $529 – which is $300 less than its original price! It’s been nearly four months since iOS 4.2 for the iPad was released, with AirPrint as one of the headline new features included in it. 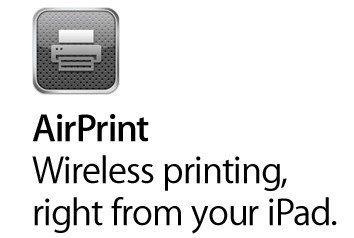 Initially, AirPrint was touted by Apple as bringing ‘universal’ wireless printing to the iPad and iOS. By the time the 4.2 update was released that had been scaled back enormously – it offered wireless printing only to AirPrint-enabled printers and the list of those was pathetically short. Back in November the list contained only seven printers, all from only one manufacturer, HP. Today I had a quick glance at Apple’s list of Airprint-enabled printers again – hoping and expecting that it would have expanded quite a bit. Sadly, it hasn’t. There are now only 17 printers on the list – still all from HP. I realize it is probably legal and licensing reasons that are crippling this list right now, not technology-related ones, but even so it strikes me as very lame on Apple’s part that they promised the world on this feature and they’ve not even come close to delivering on the promise. Luckily if you use a Mac, there is this clever and painless tweak that enables you to use AirPrint with just about any printer you like. I really hope will get things sorted out soon and make AirPrint somewhere at least close to as universal as it was promised to be. Now that the iPad 2 has been announced and is set for release next week, Apple has slashed prices for the original iPad models by $100. And they are offering some excellent prices for refurb models too – starting at just $349 for the WiFi-only 16GB model. — A new 3G 64GB model is now down to $729. presents a very convincing case that when it comes to marketing and audience, few devices (tablets or otherwise) can compare with the iPad. The report collects the findings of a number of different surveys and research outlets, painting a picture of a device tailor-made to sell content, products and services. 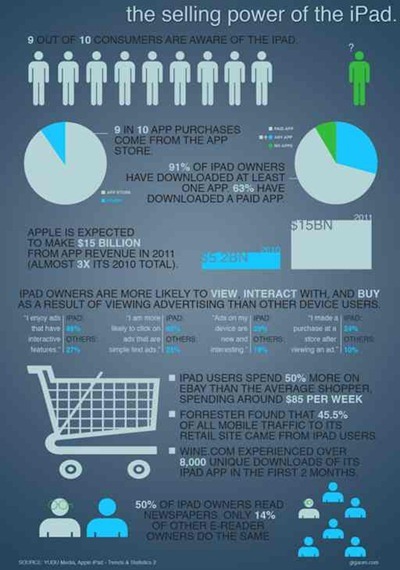 — 91% of iPad owners have downloaded at least one app – and 63% have downloaded a paid app. — 50% of iPad owners read newspapers (on the iPad presumably) – and only 14% of other ‘E-Reader’ owners do.